Morrie Palmer Hibbard of Quincy, son of Walter P. and Lillian J. (Toole) Hibbard, passed away peacefully on November 2nd. He is survived by his beloved wife of 43 years, Joan. He lived in Wollaston for a most of his 88 years. He and Joan enjoyed entertaining and traveling to Nova Scotia to spend time with family. Additionally, he enjoyed reading, particularly history as well as walking on the beach and following Boston sports teams. He especially reveled in his role as Papa to his many grandchildren. 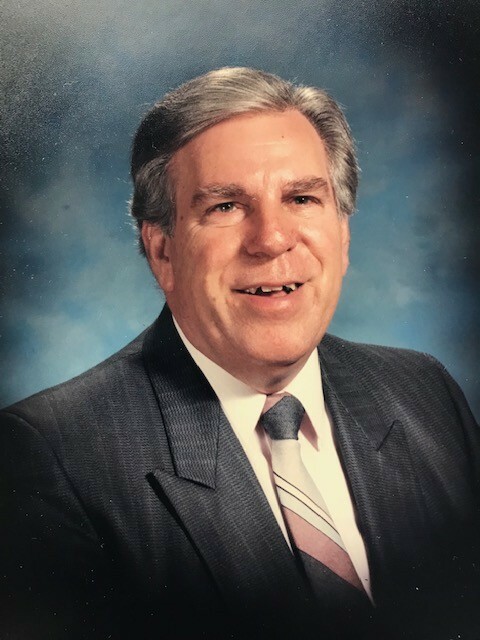 He attended the Quincy Public Schools, then furthered his education at Boston University with: an Associate in Arts (1954), a Bachelor of Science in Education (1956), and a Master of Education (1968). He returned to the Quincy Public Schools in 1956 as a teacher and later a principal serving for 37 years. He would always say it had been his privilege to work with the children, parents, and staff at many schools. You would often find him joining in for a game of kickball or driving a child home, if necessary. If you were fortunate to be on his staff, you knew his kind, calm, humble demeanor; he would let you know that you worked with him, not for him. One of his proudest accomplishments was the opening of the Lincoln-Hancock Community School in 1973. Morrie was a lifelong member of the YMCA. He served proudly on the Board of Directors from 1968-2005 and was Chairman of the Board from 1979-81. In later years, he was extremely active in the fundraising effort for the new Hanover YMCA. He was the consummate gentleman: holding the door at Barry’s Deli before enjoying his side of Mac and cheese, making room for one more at the table in Dunkin Donuts as he savored coffee and a corn muffin, giving up his seat on the T to someone in need, or greeting and thanking people for participating in the Molly Walk. As a boy he enjoyed spending time on his Uncle Lyman’s farm in Woodstock CT milking cows, collecting eggs, and hunting. He enlisted and served in the Army stationed at Fort Devens. Morrie was a lifelong philatelist. He combined his love of stamps with his signature thoughtfulness. Many considered themselves lucky to receive a note or card; it was however his signature envelope featuring hand-selected stamps which garnered gratitude from all. He is also survived by his children with his former wife Dorothy Hibbard: sons, Jonathan (Haobo) Hibbard of Brookline and their son Daniel, Jason (Janyne) Hibbard of Hull and their daughters, Jessica and Laurel, and his daughter Jennifer Hibbard (Jerry Weslar) of Quincy. He is also survived by close family friend, Jim (Cathy) Fitzgerald of Marshfield and their children, Caitlin, Molly (deceased), and Conor. Additionally he is survived by Joan’s children: Debie (David) Simon of Burbank, CA and their son (Alexander) and Paul (Diane) Smith of Osterville and their children, Laura, Jennifer, and Sarah. He also had two great grandchildren. He was predeceased by his sister, Loretta Hatt. In lieu of flowers, donations may be made in Morrie's name to the Molly Fitzgerald Memorial Fund in Marshfield, to any local PTO, or to the YMCA.